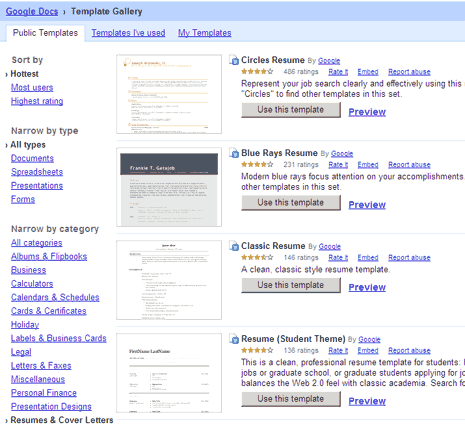 We have seen number of resources to download Resume templates. Microsoft has good collection of Resume templates for MS Office users or do it online using stylish Resume templates at CeeVee online. Bridging both offline and online platforms is Google Docs. You can create documents online at http://docs.google.com by logging using Gmail or Google account.